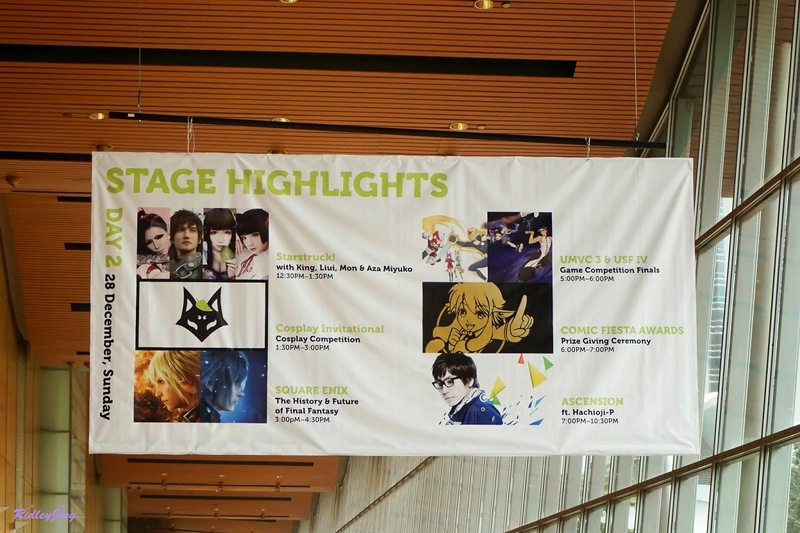 Square Enix at Comic Fiesta 2014! It's a bit late but here's the summary of what I got from Square Enix talk at Comic Fiesta! I bet everyone was familiar with 'Square Enix' because of the games they produced. Honestly, I knew about Square Enix on the day I knew about Final Fantasy. I knew about Final Fantasy since almost 10 years ago. SO when I knew that Square Enix will be having a talk at Comic Fiesta, I decided to attend it no matter what. The History and Future of Final Fantasy! I knew a lot of people probably don't get the chance to enter the main stage because they only let those people with tag enter the main stage. To be honest, I was a bit frustrated because I think that everyone should share the stage events, how can they not allow people to enter the main stage? And when I was in the hall, there was still a lot of space in the hall. More people should come and witness the history and future of Final Fantasy! Managed to take a video for the history part of Final Fantasy... Please do enjoy the video. I was so touched when the music started to play. It was so nostalgic and I just felt like crying. Final Fantasy game series were part of my childhood. My sister and I like it so much and the first game we played was Final Fantasy 8. I also remembered the time when she and I played Final Fantasy 9 in Japanese version and the character I like the most was Vivi. Although I didn't play the Final Fantasy 1 until 6 but I'm a fans of Final Fantasy 7 to 13. Everything about Final Fantasy was awesome. Even now, I still playing FFX-2 on PS Vita. 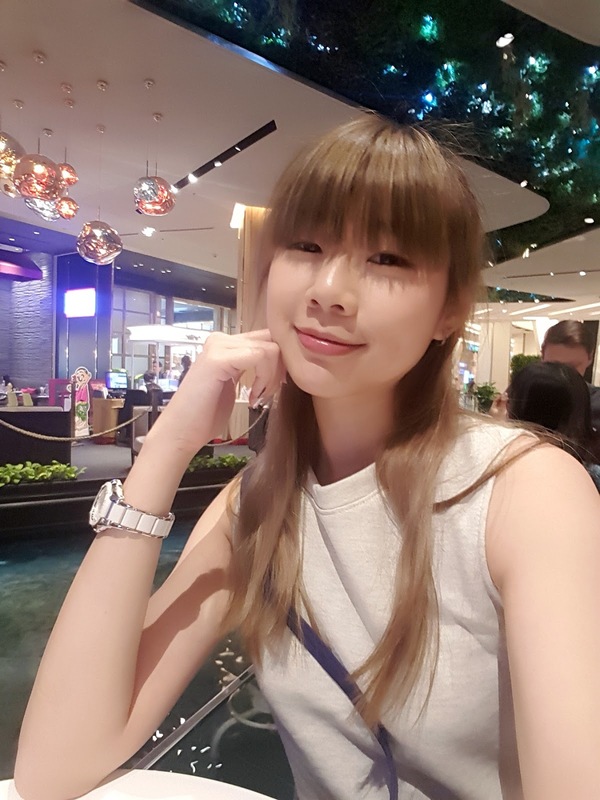 Planning to play FF X too. 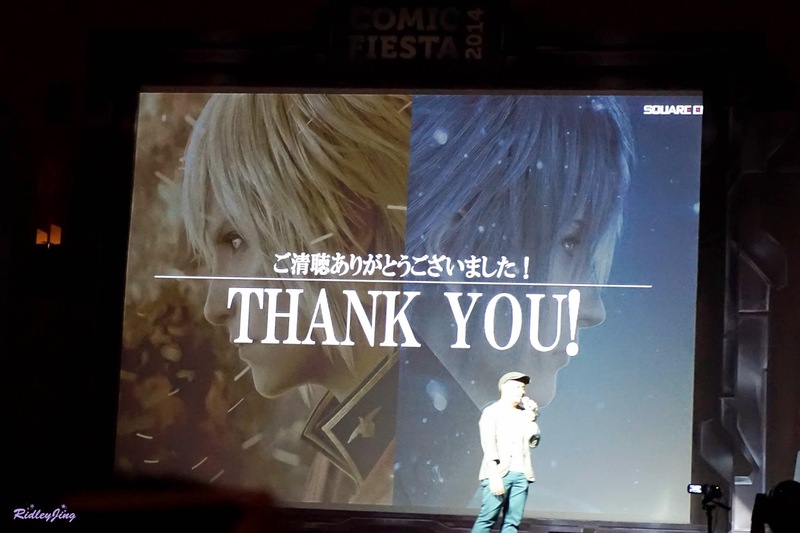 Thanks to Shinji Hashimoto, the Game Producer for this awesome presentation of FF History! As for the Future of Final Fantasy, there were 2 titles which will be released in this year. If you were a fans of FF, you definitely knew which two title that I'm talking about now. The first title, Final Fantasy Type 0 HD. As showed in the above trailer, this title will be available on March 17, 2015 which will be available for Xbox One and PS4 console. So if you are interested, you can place your pre-order right now. If I remembered correctly, those who place pre-order for this title will get a demo version of FF XV. And the second title, Final Fantasy XV. To be honest this is one of the game that I'm looking forward, I hope that they will release this title in this year although the release date is not yet confirm. 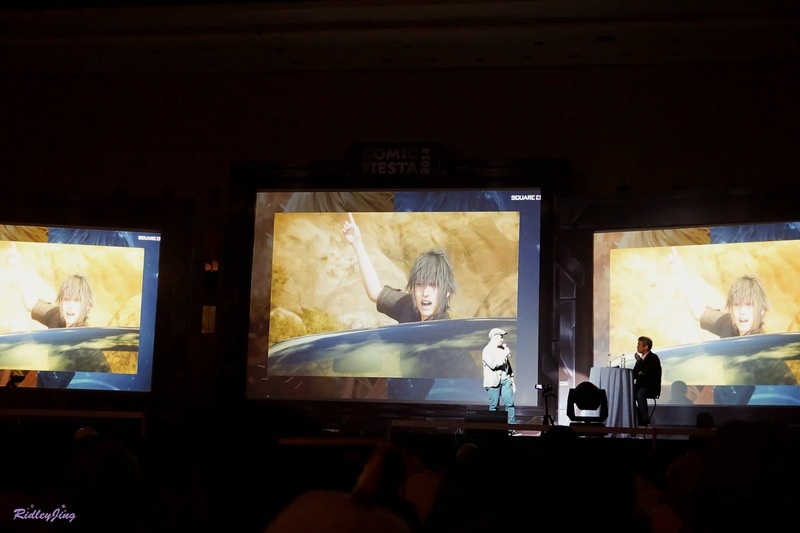 So, Wan Hazmer, the Lead Game Designer for FF XV also showed us a video during the presentation. 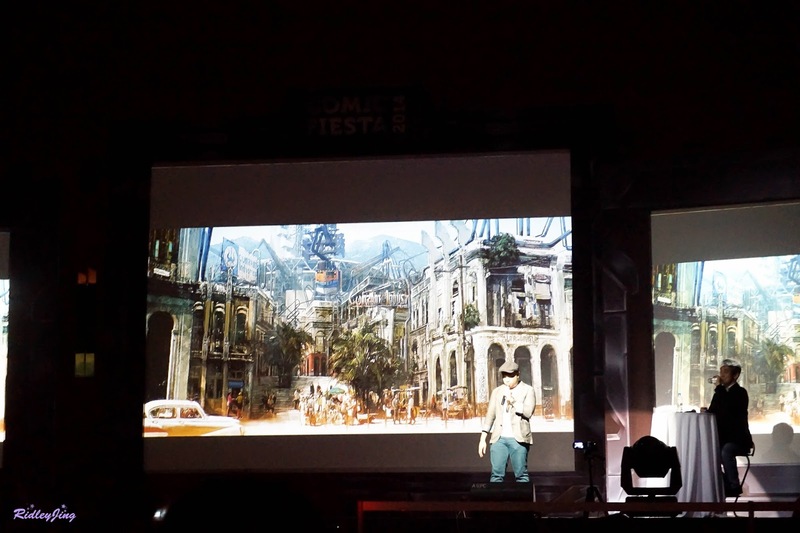 During the presentation, he showed us around one of the town in FF XV using a NPC Doggy. As you can see from the video, the town was basically more focus on culture aspects. 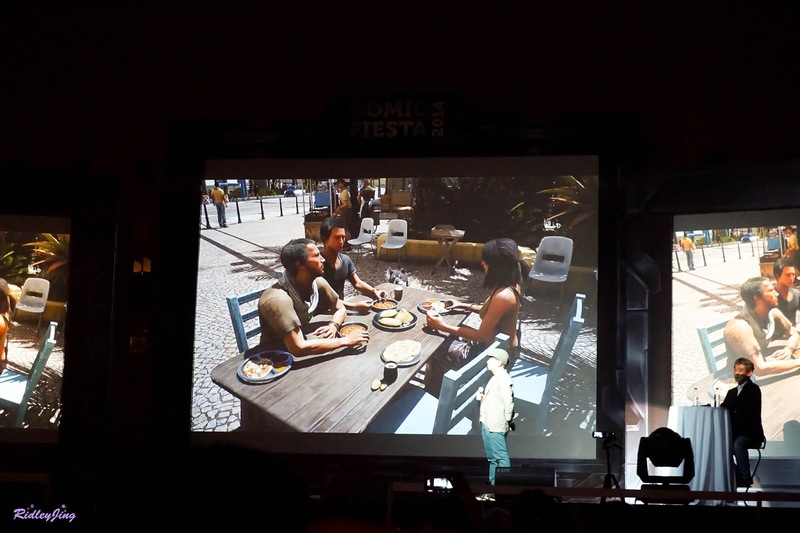 He also mentioned that Malaysian food and drinsk were in the game too. For example like Roti Canai, Satay and Teh Tarik. One of the famous scene in FF XV. The artwork of the town. And for another specialties of this game, you need to camp in order to level up. Since this game was kinda like a vacation game, so you to camp during the game night time. FF XV will have Day and Night in the game. One day in the game is equal to 60 minutes and Daytime and Nighttime will be divided into 40 minutes day and 20 minutes night. Thank you for your time and I hope you all like this post.